This week I'm teaching English camp with a group of about twenty first grade students. For lack of any better ideas, I decided to do an "Exploring the World" camp, which will focus on a different English-speaking country everyday. One of the things I love doing most while teaching in Korea is teaching students about western culture. In our western-centric minds, we tend to let our egos get in the way and often assume that hey, everyone must know about our culture. However, that's obviously not the case and I love introducing the students to the world beyond Korea. Yes, I guess my inner social studies teacher is still lurking around after all. Anyway, today I kicked off the camp with America...basically because I knew it would be the easiest to plan and I wanted to transition into the camp madness somewhat easily. I started the class by breaking students into groups and giving them a bunch of questions about America to see what they already knew. 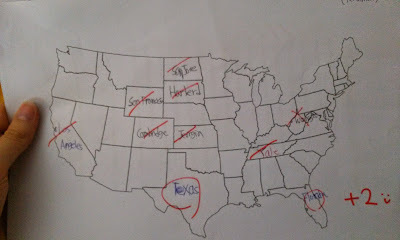 I also gave them a map of America and asked them to label any of the states they knew. This turned into a fun competition and the results were definitely intriguing. 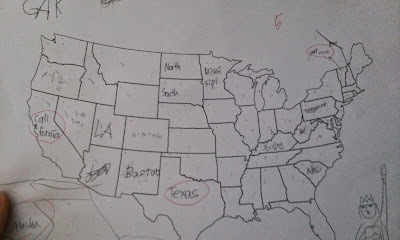 Boston is next to Texas...who knew? 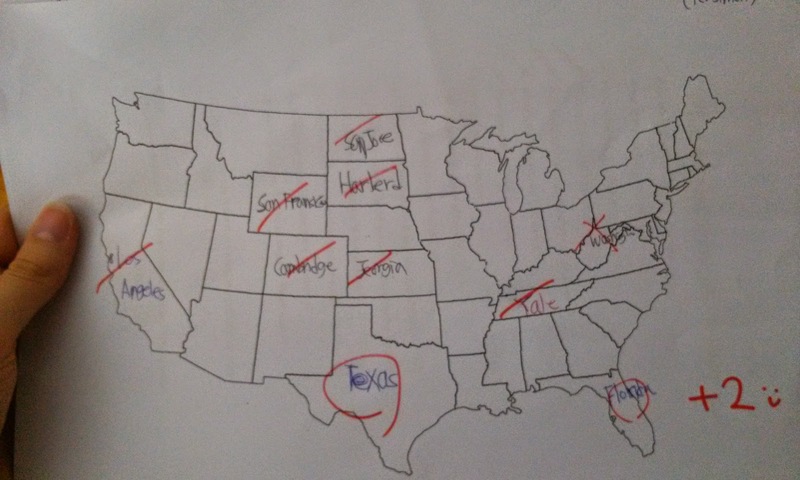 Note: Harvard and Yale are states. Mississippi is also a northern state. 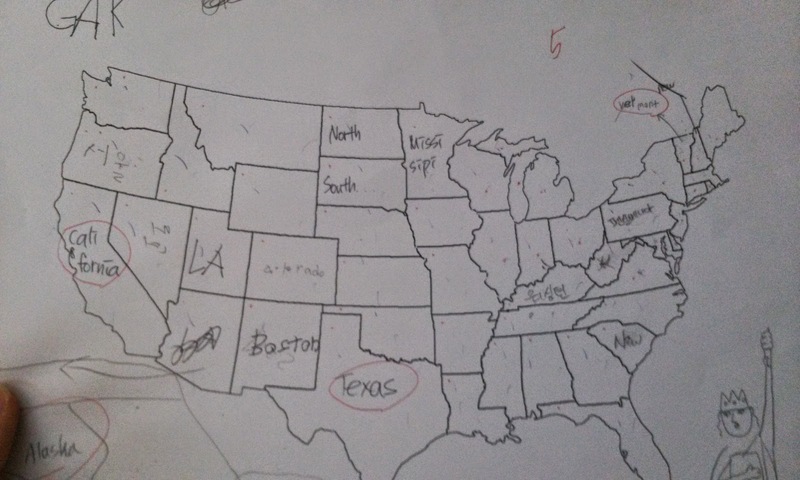 You'll notice the only state on here is Vermont. That probably seems incredibly random, but actually it's not. My friend who taught this particular group of students in middle school is from Vermont. And we think they don't learn anything from our lessons--turns out they do pay attention! These are just a few of the maps, but you get the idea. It's a good reminder that America's not the center of the universe. 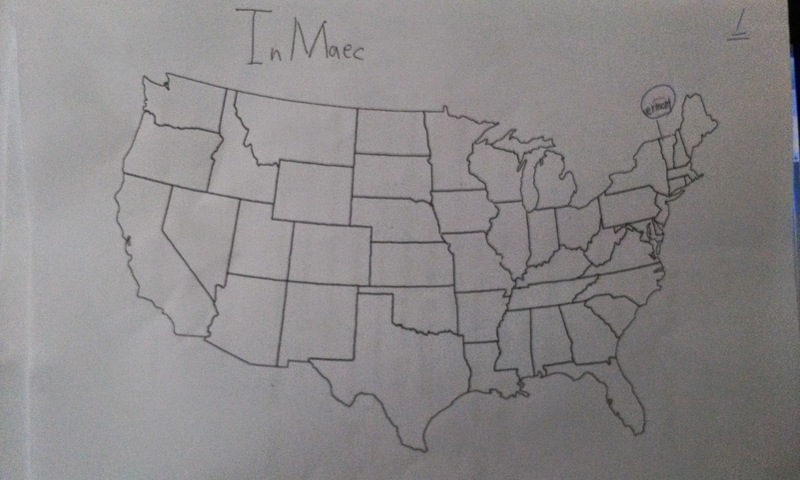 And to be fair, of course the majority of Americans probably can't label the whole map of America, and I certainly didn't expect all of my students to be able to. Not to mention, I'm sure the majority of Americans can't place Korea on a map. 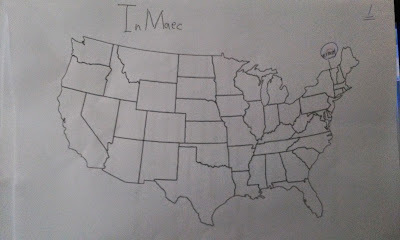 Geography seems to be a universal skill that is lacking. Oh, and I should mention things just kept getting more entertaining when we went over the answers to the survey I gave them. To end this post I'll give you a little excerpt from that part of class. Me: Does anyone know what America's national bird is? Just another day in Korea.